Corfu is always in demand, the lifestyle is second to none and the summer sun continues to shine on the sea and the beaches. The reputation of Corfu lately has been ‘playground of the rich’ but that needn’t be the case. There are plenty of properties or plots of land, within everyone’s budget. We picked the properties on this site because they are particularly good value. If you are planning a visit to look at property in Corfu just let us know and we can show you a selection of properties, and recommend any professionals such as lawyers, engineers, accountants, builders – any help you need in your purchase, or after, we can provide. The cheapest properties tend to be the old village houses in need of renovation, and when we say renovation it can often mean a virtual total rebuild. These are also the places which tend to be central village, with views of other houses in the village, often without much outside space (some with none), no parking, and sometimes limited car access. Naturally, this is why they are cheap! We have graded the renovation projects on a scale of 1 to 5 to give an approximate idea of the amount of work required on each one. Have a look at our renovation page for more information. Similarly, the cheapest plots of land might have less interesting views, be less accessible or need considerable amounts of money spent to bring services. Sometimes, of course, a bargain is simply a bargain and these disappear quite quickly, so you need to keep your eyes open! As well as the properties listed on this site, there are many more on our main website. Reduced in price this charming little house is tucked away in the narrow alleyways of this very traditional mountain village. An away-from-it-all house in a lovely quiet position, ideal for either holiday or full time living. 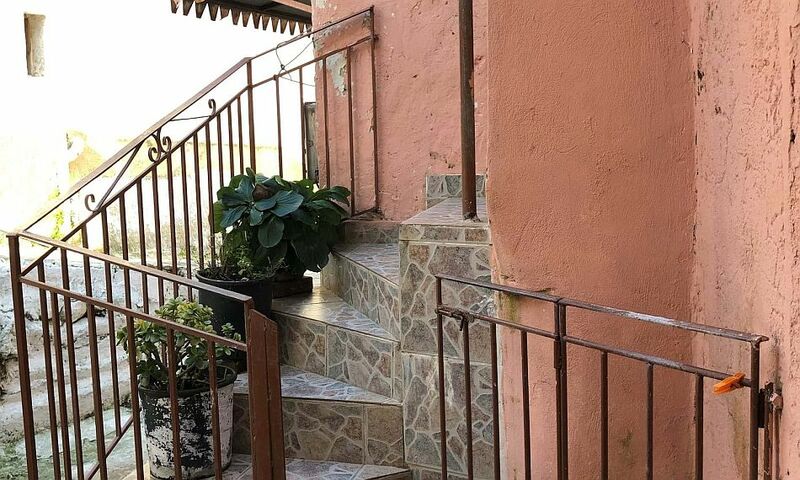 Reduced in price from €65,000, Alleyway House is a back-to-back village house with the huge advantage of a large, level fenced garden with lovely mountainside views to the west. All village facilities are within walking distance. The perfect small holiday home, in need of some cosmetic attention as it has been unoccupied for a while, but in excellent general condition and with easy access to the beach at Paramonas. 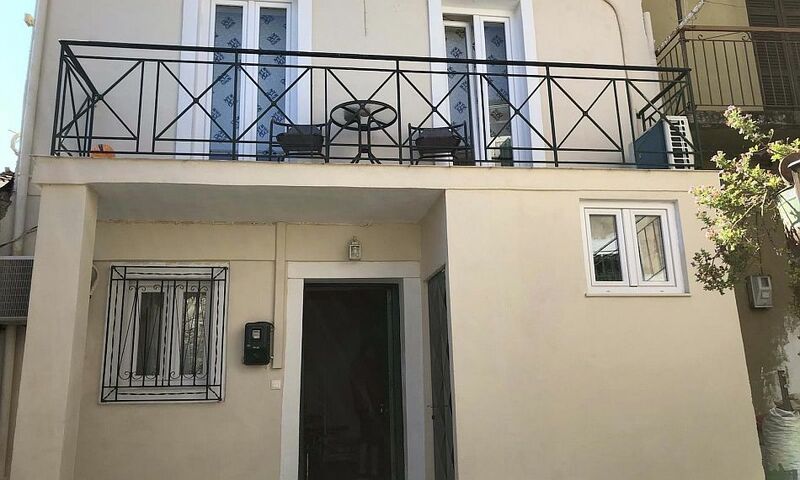 An intriguing renovation project located in the center of Karousades with wonderful potential of creating a lovely Corfiot village home to enjoy. 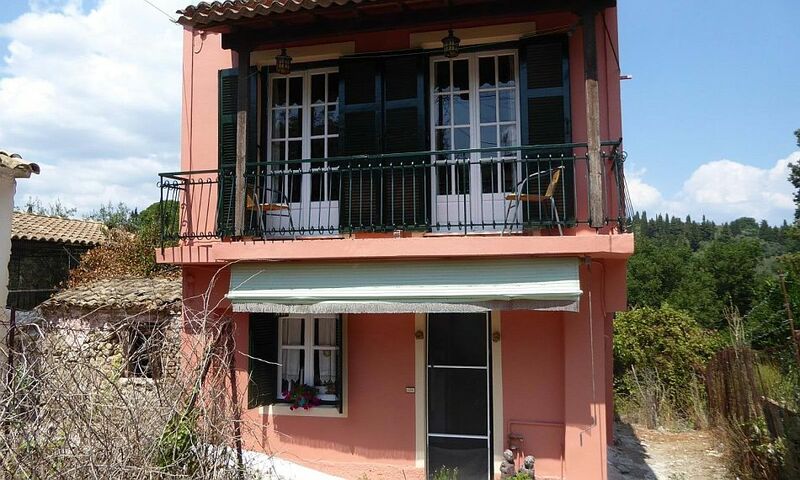 Further reduced from €75,000, a pretty split level cottage only a few minutes from Corfu Town, with fantastic views across the lagoon, mountains and Corfu Town. The house is in a traditional village, not far from one of Corfu's best tavernas! In a quiet area of the popular village of Kato Korakiana, this solid house has been partially renovated by its present owner, including new roof, staircase, shower room, plastering etc. The house has loads of potential, and could be extended over time. 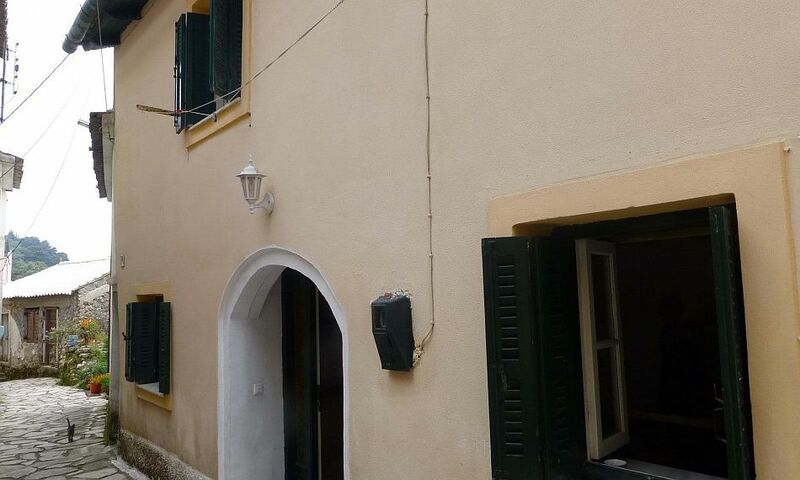 Reduced in price from €65,000, this two storey cottage is for sale in the village of Afra. This is a renovation of an old stone village house and is situated down a short unmade track from a narrow lane. There is parking at the top of the track. A pretty renovated house in one of Corfu's traditional villages, with easy access to both east and west coasts. Small detached bungalow with garden, just a few steps from a narrow surfaced village road. Reduced in price from €89,000 this very pretty village house was built in 1807 and recently renovated with fabulous taste! 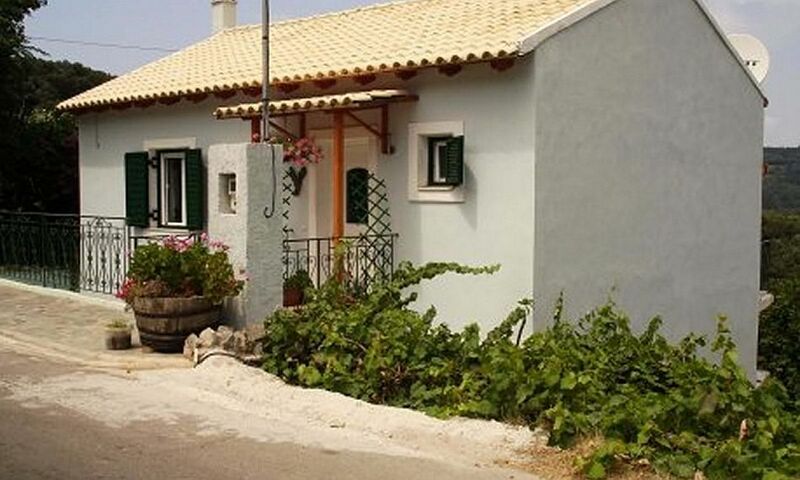 This traditional village house is in the centre of the bustling village of Sinarades, and is ready to move into. These 2 and 3 bedroom apartments are only 50m from the pretty beach and taverna at Glyfa. They are simple economical homes in a very popular part of the north east coast. Ideal as holiday homes, they also have excellent letting potential. 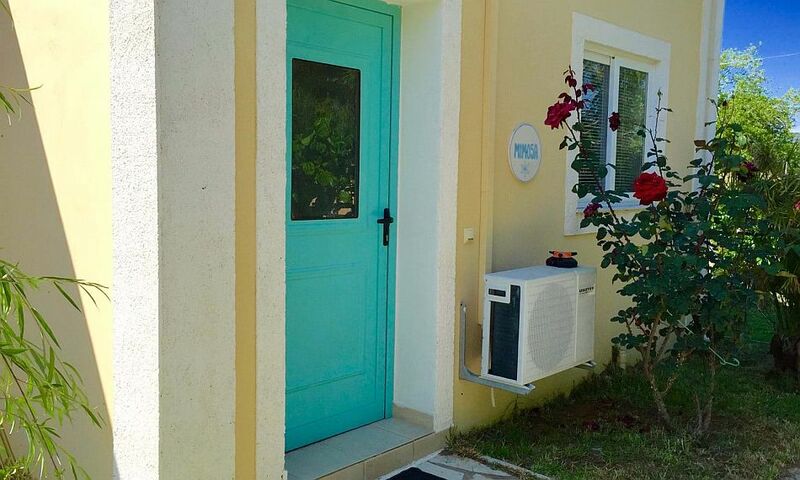 Mini-villa with a well-established, secluded garden, off-road parking and within easy car access of Paleokastritsa and the mountain top village of Lakones. A renovated two bedroom village house on the edge of one of Corfu's prettiest traditional villages, with car access and parking close by. Presently divided into two almost identical houses, one half has been completed and is occupied and the other house needs completion. With a lovely garden at the rear, plus parking, and balconies to the front overlooking the view, the property is a great opportunity for both a home and an investment project. 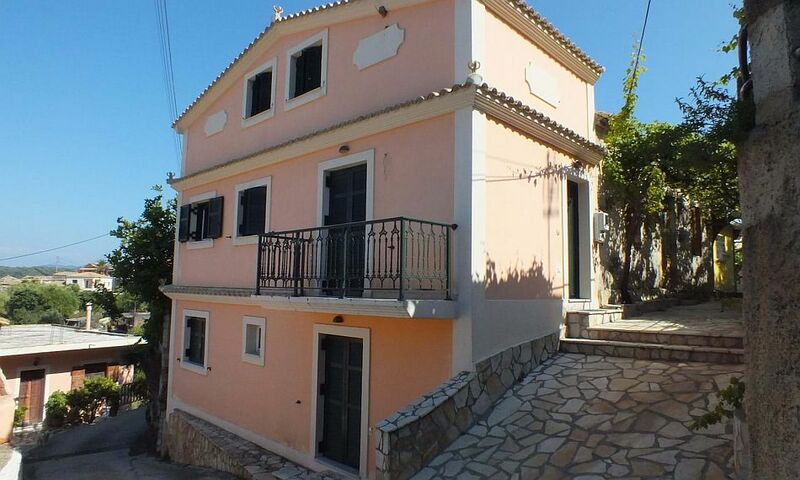 Further reduced from €95,000, this traditional three bedroom house is situated in the picturesque village of Lakones, with character in abundance and fantastic sea views from the top floor balcony. The owners will consider offers in the region of the asking price. Property in this village is normally highly prized and rarely comes on the market. Hamlet Cottage is a typical village property, in a terrace, with its front door leading straight off the alley. It has a large open plan living kitchen area on the ground floor, with a small storage room to the back of the kitchen. On the first floor there are two bedrooms and a bathroom. The house is in good condition and has a paved courtyard around the corner. 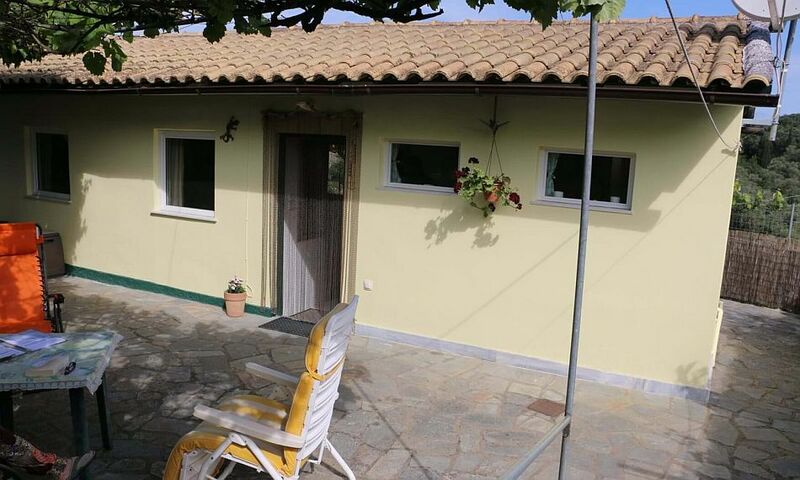 This village house is right in the centre of the traditional village of Spartilas. A detached two bedroom village house tucked away behind an arched gateway next to the village coffee shop. A quirky, attractively renovated two bedroom house, in a hillside village, with stunning sea views. A very spacious two bedroom ground floor apartment located just a few minutes drive from Corfu Town. The apartment unusually has a garage and two separate extensive storage spaces, plus a garden. 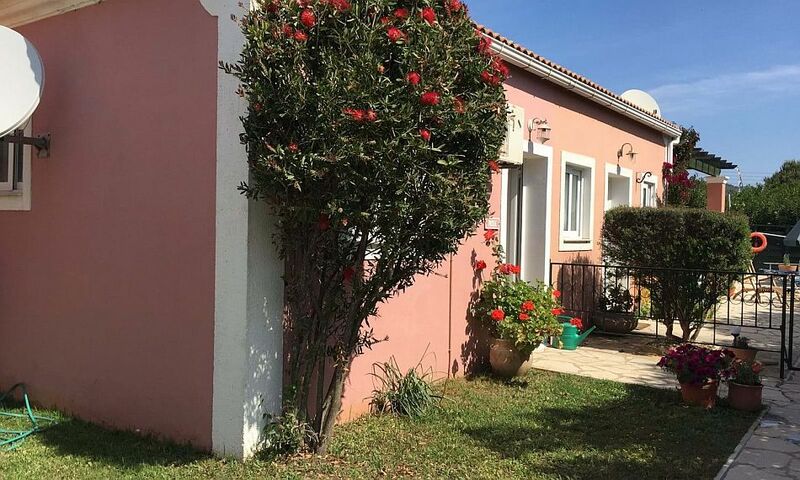 The complete property is also for sale, comprising the two apartments, and the studio which has a large plot of land, at a total price of €370,000 or alternatively just the two apartments for €290,000. 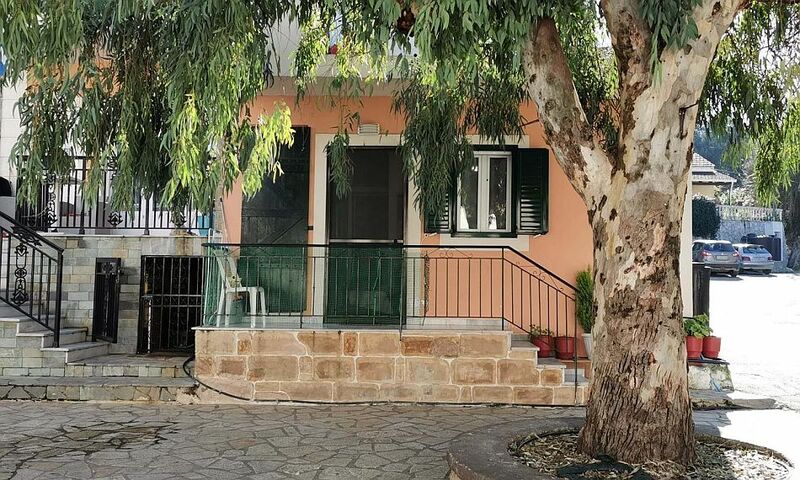 Reduced in price from €145,000 and located in a quiet village in the north of Corfu, this is a typical village house which has been renovated to provide a comfortable year-round home with room for visitors too! Two houses for the price of one! 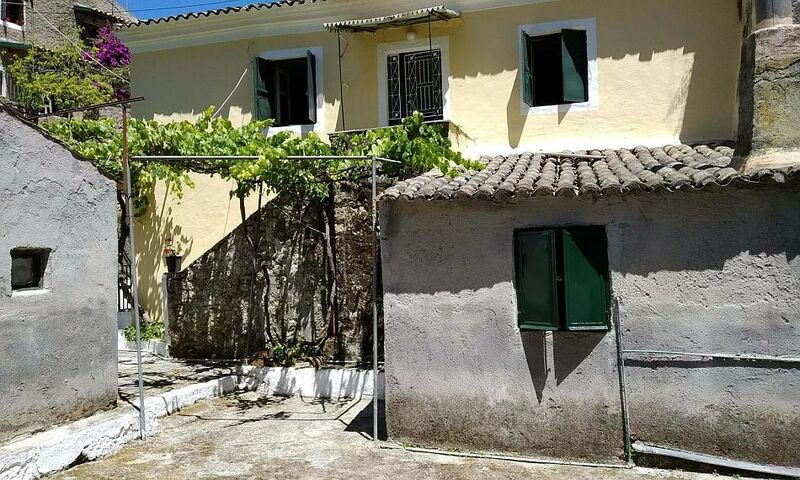 Just off the main square in the popular village of Doukades, the main house has that rare feature for a village property of a good-sized garden and at the bottom of the garden is a ruined two storey stone renovation project. Reduced from €200,000 and situated on the edge of the pretty village of Makrades, these two properties have been lovingly renovated by their present owners to provide comfortable yet traditional accommodation. The property has been advertised and used as a summer holiday rental.